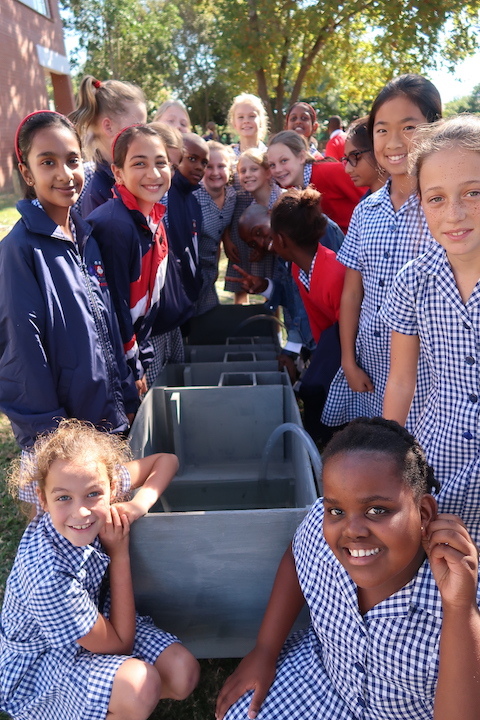 A private school in the forests of Englewood New Jersey and a school in the mountains of Koshange KwaZulu Natal may not seem to have much in common but when speaking to the students about water quality it is apparent they share the same environmental concerns. I was asked by Elisabeth Morrow’s 3rd grade class “what is an ecologist and why is water quality such an important aspect of our studies?” I thought it best to not just tell them each of the elements tested in a water quality assessment but to actually show them video footage of the Aquatic Ecology Research (AER) group at work. This prompted a dialogue about the importance of water and how we as humans don’t always do our part to take care of our resources. 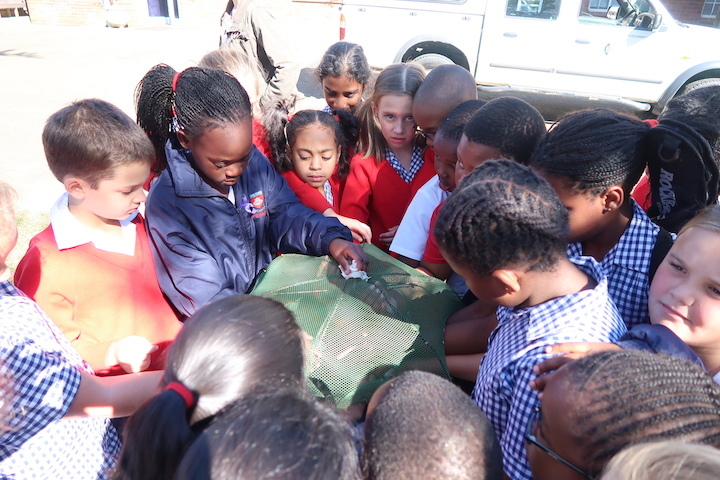 In South Africa I got the opportunity to join LWAZI (‘knowledge’ in Zulu) on a school visit, as a representative of AER. LWAZI is an outreach project which focuses on encouraging underprivileged South African high school students to pursue a tertiary education. 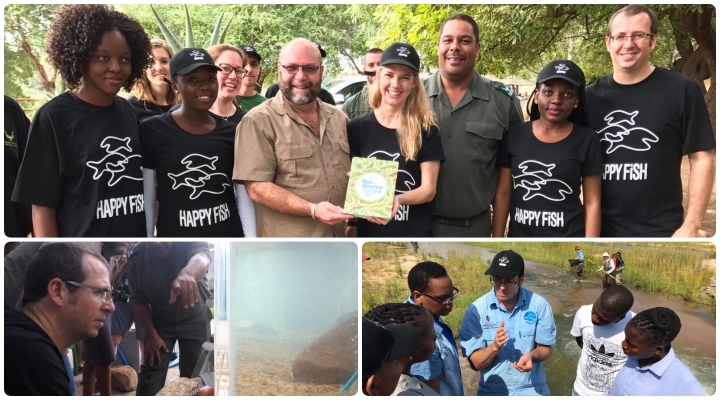 The initiative, started by Msc students Camille Fritsch and Olieve Fynn, allows UKZN students and interns to engage with teens by disseminating their research while also getting underprivileged students excited about science. I held a similar conversation to that with Elisabeth Morrow, yet with an older group of nature enthusiasts from Sizisiwe High School. This school can be found in the mountains of Koshange, a modest town with panoramic views of the Drakensburg. I chose to use preserved macroinvertebrate and fish specimens collected by AER researchers. 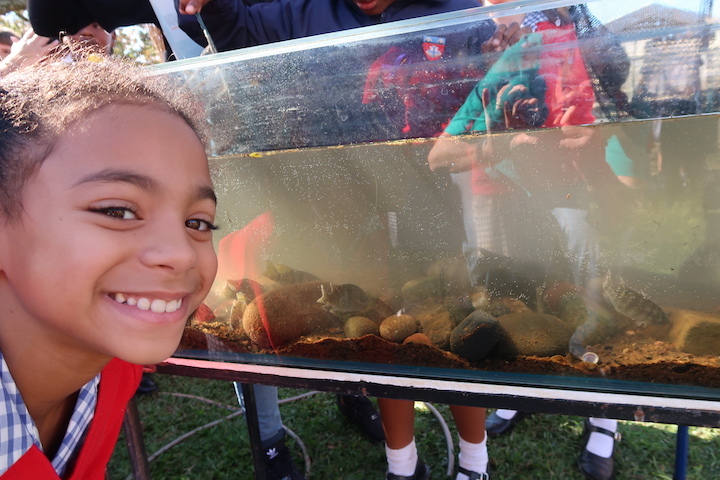 The students were intrigued by how as scientists we use insects and other species they recognize from childhood as indicators of water quality and overall ecosystem health. It hadn’t dawned on them how valuable an insect could be, or that our actions were ultimately disrupting entire ecosystems which in turn affect communities who rely on the services provided by that ecosystem. We discussed the need to decrease pollution and the more complex issue of how invasive alien species pose a threat. 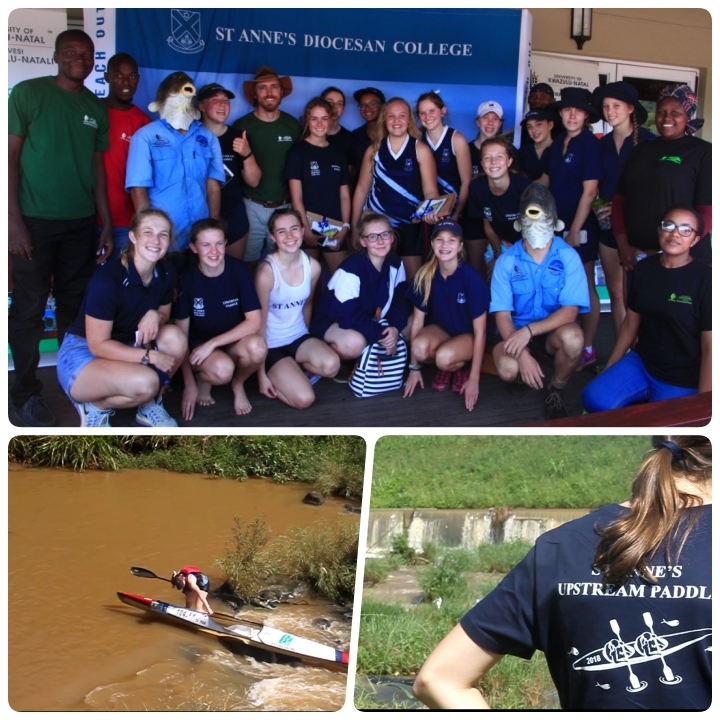 Our visit proved to be rewarding as I watched the matriculants go from enjoying an excuse not attend class, to proactively considering the environment and the role they each play. 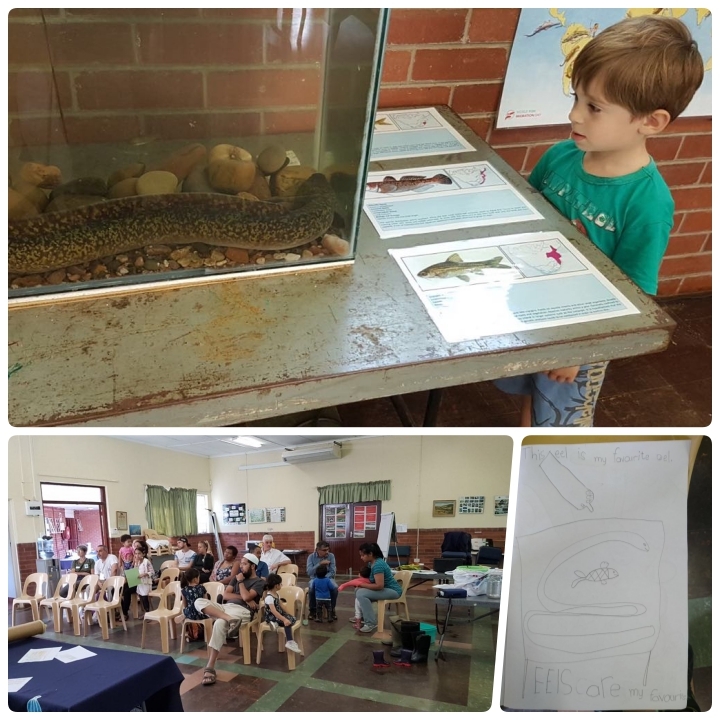 Interning with the Aquatic Ecology Research group has been about more than just conducting field surveys of Kwa-Zulu Natal Rivers, but an opportunity to inspire a new generation of scientific researchers. It is integral to engage with young science enthusiasts and I hope to conduct more outreach with communities who may not understand the type of research we conduct but value our work nonetheless. The Aquatic Ecosystems Research group often enters remote communities to collect data for research or as part of the water monitoring project. Often times community members take notice of our presence. This has led to clashes where fishermen see our tools (primarily nets) and assume we are poachers. In my experience in the field, by engaging with the people we come across the tensions are eased and we actually find people want to know the results of our study. 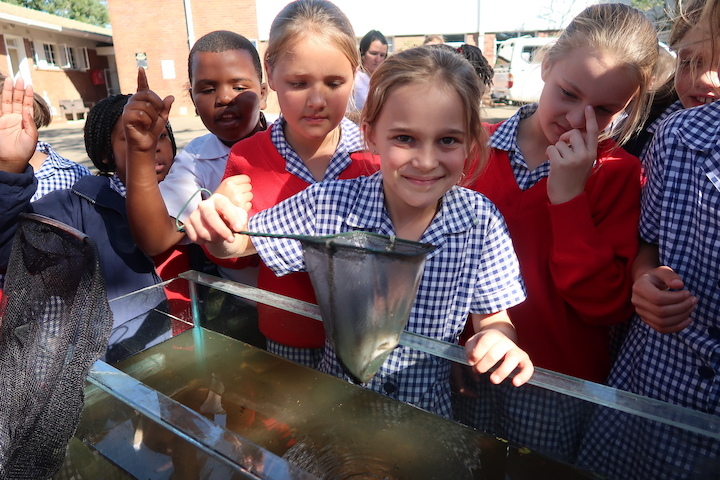 Our reach has spanned continents and ranged from sand miners to groups of women washing their clothing; even down to the young and curious helping to spot tadpoles.